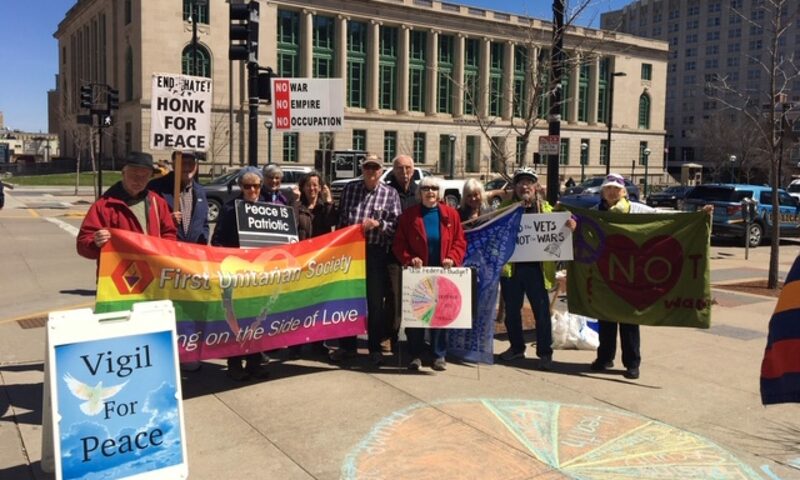 Contact your Alders and request support for the “Back from the Brink” nuclear disarmament-divestment resolution! Members can mail in the sample letter (or your own version) OR call OR email. Members can mail or email whatever additional supporting documents you want e.g. background or info/action sheets. 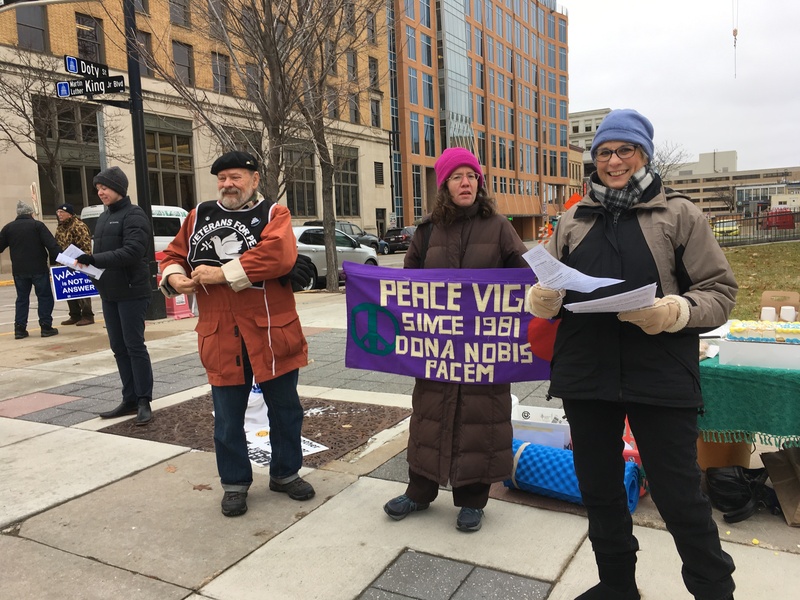 Attached below is a sample letter, a fact sheet, background information on the RESOLUTION OF THE CITY COUNCIL OF THE CITY OF MADISON TO ENDORSE THE PREVENTION OF NUCLEAR WAR and COMMIT TO NUCLEAR WEAPON-FREE CONTRACTS AND INVESTMENTS, COMMIT TO NUCLEAR WEAPON-FREE CONTRACTS AND INVESTMENTS, and a resolution sheet. 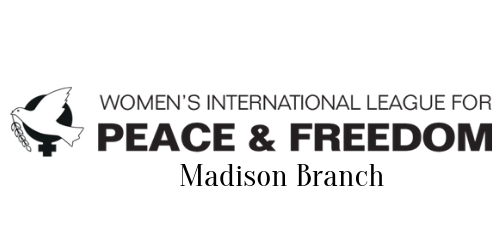 Women’s International League for Peace and Freedom-Madison is helping to co-sponsor this event held on Saturday, March 2! Register for this FREE event here!!! Make green technology, industry, expersie, products and services a major export of the U.S.
AFSC and Madison’s Annual Tribute to Rachel Corrie presents: An event featuring Ahmed Abu Artema, Palestinian writer, refugee, and peace activist from Rafah, Gaza who will talk about his experience being part of the Great March of Return, the future of nonviolent actions in Palestine, and his vision for a just and lasting peace. This event is hosted by Madison-Rafah Sister City Project and the American Friends Service Committee. The event will take place at 2:00 PM at First Unitarian Society of Madison 900 University Bay Dr, Madison, Wisconsin 53705. Co-sponsors: American Friends Service Committee; Amnesty International Group 139; Bright Stars of Bethlehem-Madison; Colombia Support Network; East Timor Action Network)-Madison; James Reeb Peace, Justice and Sustainability Group; Jewish Voice for Peace-Madison; Madison Friends Meeting (Quakers); Playgrounds for Palestine-Madison; UNA-USA Dane County; Women’s International League for Peace and Freedom-Madison. In various writings and occasions, Martin Luther King, Jr. lifted up the notion of a beloved community, which he envisioned as a society based on justice, equal opportunity, and love of one’s fellow human beings.